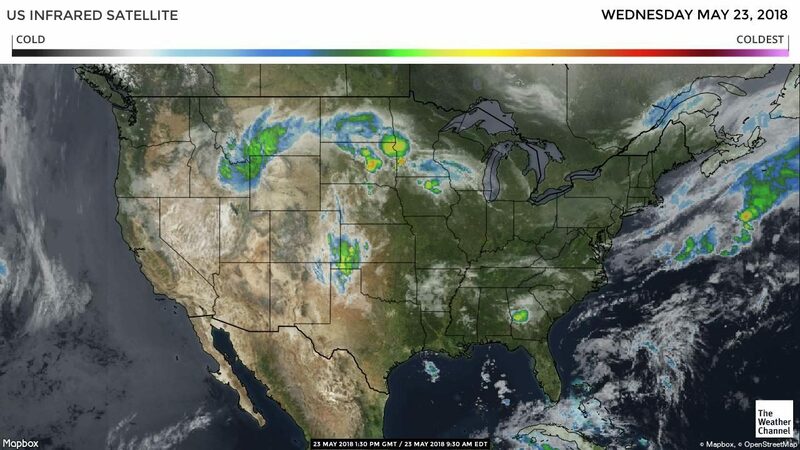 A strong late season upper-level low-pressure system moves into California late this week with light rain and drizzle expected across the Central Coast along with a deepening marine layer influencing most of coastal California. This cooler pattern with coastal drizzle looks to continue into next week. High pressure strengthens over Central Mexico with a few isolated showers and warmer conditions into next week. Regions to the north will continue with seasonably warm and dry conditions into next week. Florida and the southeast will continue to be impacted by heavy rains as a slow-moving tropical disturbance moves into the Gulf of Mexico. We will continue to monitor this system for possible intensification over the few days. California trucks have been adequate early in the week but seem to tighten up as the week progresses. Look for trucks to tighten up next week as drivers stay home for the Memorial Day holiday. Freight rates continue to increase. Washington apple truck supply is steady. Idaho potato trucks remain steady as well. 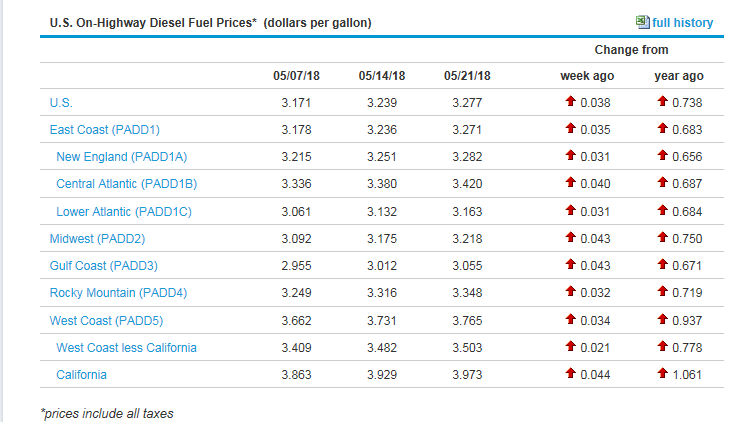 The national average on diesel remained steady this week and is currently at 3.277 per gallon. An increase of .738 from this time last year. California prices increased as well and are now at 3.973 per gallon. Crude oil remained steady and is currently at 72.13 per barrel. Berries (Blueberries): Supplies are still limited and prices remain higher. Brussels Sprouts: Supplies out of Mexico are extremely limited with the market trending much higher. Onions: New Mexico has just started packing yellow onions in a light way with reds to follow. Asparagus: Michigan has started with light volume. Berries (Blueberries): North Carolina will slowly ramp up over the next two weeks and is expected to start peak harvest the first week of June. California is slowly increasing production with peak harvest expected to begin the second week of June.